Domestic Violence & Domestic Abuse – Recovery Now, Inc.
How do I know if a relationship is abusive? Sometimes it can be very hard to tell especially in the beginning that a partner is abusive. Many times these relationships seem perfect in the beginning. The ways in which domestic violence are carried out in different relationships varies because individual relationships are different but commonly there is a dynamic of power and control present that is not part of a healthy relationship. Domestic violence does not always involve physical abuse. The most common form of domestic violence is verbal/psychological abuse, fiduciary abuse, and isolating an individual from family and friends for the purpose of controlling & manipulating another individual’s behavior. What is the difference between domestic violence and domestic abuse? Domestic abuse, also known as spousal abuse, occurs when one person in an intimate relationship or marriage tries to dominate and control the other person. Limiting family & friend contact, socially isolating, fiduciary abuse, psychological abuse and threats of violence may all be signs of domestic abuse. Domestic abuse that includes physical violence is called domestic violence. How do I stop being abusive with my partner? 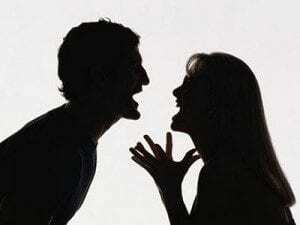 Understanding one’s individual triggers and developing anger management skills is necessary to stop the violence. The cycle of violence and abuse often has a cycle that leads to domestic violence and abuse. It is important for you to become familiar with your own cycle of violence or abuse in order to break these behavior patterns. How can therapy help if I’m in an abusive relationship or abusing my partner? Working with a trained Psychotherapist may assist couples with learning how to resolve conflict without violence, or can help an individual develop plan to safely get out of an abusive relationship. If you are the individual abusing your partner, therapy will assist with providing you with the skills necessary to avoid the violence. Whether you and your partner are committing to working on improving the relationship with no violence or you are an individual looking for help and support because you are with an abusive partner, psychotherapy can provide you the support, education, and skills needed to end the cycle of abuse.